Macromolecules are giant organic molecules that fall into four categories: Carbohydrates, Lipids, Proteins, and Nucleic Acids. They are polymers that are built from monomers by a condensation or dehydration reaction which removes a water molecule to form a covalent bond. 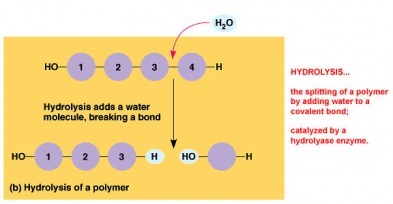 Hydrolysis is when the water molecule is re-added by enzymes to split the polymer back into individual monomers. 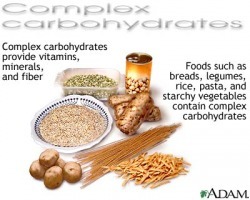 Carbohydrates serve many important functions, including structure and fuel storage. Important polysaccharides in plants are starch and cellulose, while in animals there is glycogen and chitin. Starch consists of long chains of glucose monomers in the alpha configuration. The two main types are amylase (unbranched) and amylopectin (branched). Starch in plants is used to store fuel (glucose) and the starch itself is stored in structures called plastids (a family of organelles that includes chloroplasts, chromoplasts, and amyloplasts). 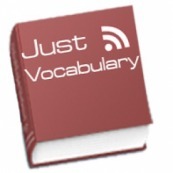 Cellulose in plants is a touch structural polysaccharide formed from a chain of glucose molecules in the beta configuration and is the most abundant organic compound on Earth. Cellulose molecules cluster, about 80 together, to form a cellulose microfibril. These microfibrils are the major components in the cell wall. Glycogen in animals is more highly branched than amylopectin and is used for storage. It is formed of glucose monomers and found in liver and muscle cells. It is hydrolyzed when fuel is needed. Chitin is a polysaccharide similar to cellulose except that it has a nitrogenous appendage on each glucose monomer. It is actually leathery but becomes hardened when encrusted with calcium carbonate. Arthropods us it in their exoskeletons and fungi use it in their cell walls. Lipids are very diverse hydrophobic macromolecules that fall under three main classes: fats, phospholipids, and steroids. Fats are not polymers because they are made of two types of molecules, glycerol and fatty acids, which are bound by ester linkages. Glycerol is an alcohol with 3 hydroxyl-group-bearing carbon atoms. Fatty acids have a carboxyl group followed by a long hydrocarbon chain, they can be saturated or unsaturated. 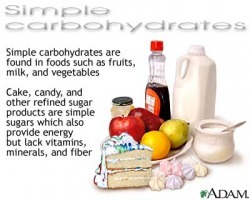 Saturated fatty acids are “saturated” with hydrogen and each carbon is bound to 2 or more hydrogen atoms. This results in fats that easily stack together to be solid at room temperature. Unsaturated fatty acids have spots where carbon atoms double bond with each other, causing kinks in the fatty acid. This results in fats that don’t stack easily and are not solid at room temperature. Fats mainly function in energy storage (more than twice as much energy as a polysaccharide) and cushioning of organs and are stored in adipose cells. A phospholipid has a glycerol bonded to a phosphate group and two fatty acids, resulting in a hydrophilic head and hydrophobic tails (an ambivalent molecule). They form a lipid bilayer, with the hydrophobic tails facing inward and the hydrophilic heads facing outside, which results in the major component of our cell membrane. Steroids have a carbon skeleton of four fused rings. Cholesterol is a steroid that keeps the plasma membrane fluid, and many hormone of the endocrine system are also steroids. The monomer of a protein is an amino acid. An amino acid consists of an alpha carbon surrounded by an amino group, a hydrogen atom, a carboxyl group, and the R group. The R group of an amino acid is its distinguishing characteristic and can make an amino acid non-polar, polar, acidic, or basic. Amino acids are then bound together by peptide bonds to from polypeptides. 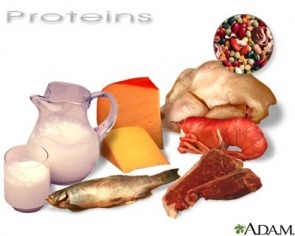 There are four levels of protein structure: primary, secondary, tertiary, quaternary. 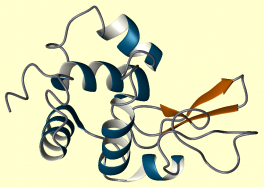 Primary structure of a protein is its unique sequence of amino acids. Secondary structure of a protein is when hydrogen bonds effect protein structure, causing the polypeptide to form alpha helixes and beta pleated sheets. Alpha helixes are delicate spirals help together by hydrogen bonds between every fourth amino acid. Beta sheets are when two parts of a polypeptide are parallel and form a pleated sheet. Tertiary structure is when the protein folds at an even higher level thanks to the action of hydrogen bonds, disulfide bridges, ionic bonds, and van der Waals interactions. Quaternary structure is the final structure of the protein, resulting from the association of different polypeptides. Sickle cell anemia is a mistake in the primary structure of hemoglobin causing a deformed version of the protein with severely limited oxygen carrying ability. Chaperone proteins help proteins fold by providing a hydrophilic environment. X-Ray Crystallography is a method used by scientists to find the 3D structure of a protein. Nucleic Acids are the group of macromolecules that code for our genetic information and are read to make proteins. The monomer of nucleic acids is the nucleotide. 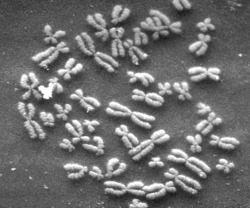 A nucleotide consists of a five carbon sugar, a phosphate group, and a nitrogenous base (either cytosine, thymine/uracil, guanine, or adenine). Thymine/Uracil and cytosine are the pyrimidines. Guanine and adenines are the purines. However, Guanine bonds to Cytosine and Thymine/Uracil binds to Adenine. There are two types polynucleotides, DNA and RNA. There are three main differences between DNA and RNA. DNA has deoxyribose for a sugar and RNA has ribose. 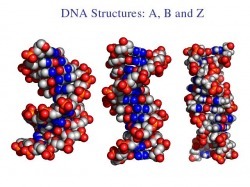 DNA is double-stranded in a double helix, RNA is single stranded. DNA has Thymine as a complementary base to Adenine while RNA has Uracil to replace Thymine. In a cell, DNA is transcribed into mRNA. The mRNA exits the nucleus and goes to the ribosome to be read. The ribosome uses amino acids from tRNA to build the proper protein, thus DNA controls the cell.